The Holy Prophet Muhammad (saw) prophesied about several events which will occur just before the advent of the Day of Judgment. Among these, the Prophet (saw) foretold the advent of one of his descendants, who will be called 'Imam Al-Mahdi' (rightly-guided one), who will appear when the believers are severely oppressed. He will fight the oppressors, calm the trials and tribulations, unite the Muslims under his leadership, lead a prayer in Damascus at which Prophet Isa (a.s) will be present and rule the world with equity and justice. 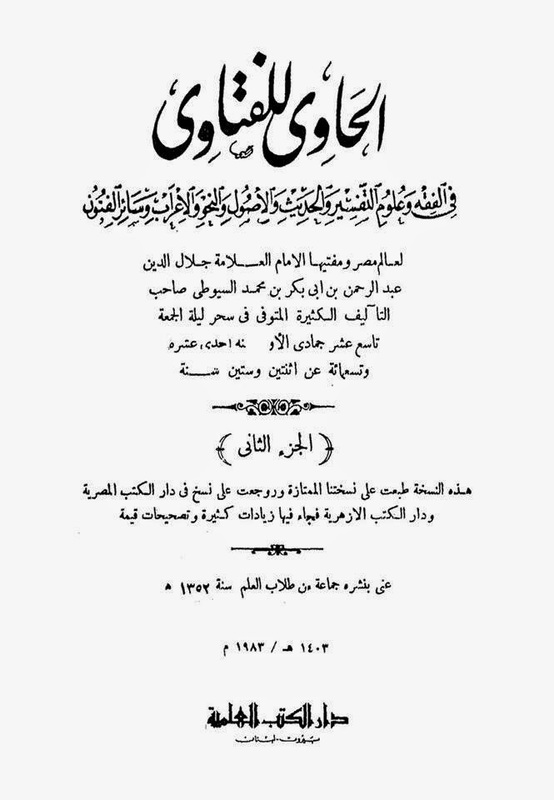 Throughout the history of Islam, a few individuals laid claim to be the Mahdi (ajf) which became a stepping stone to the development of heretic sects which broke away from the fold of Islam. 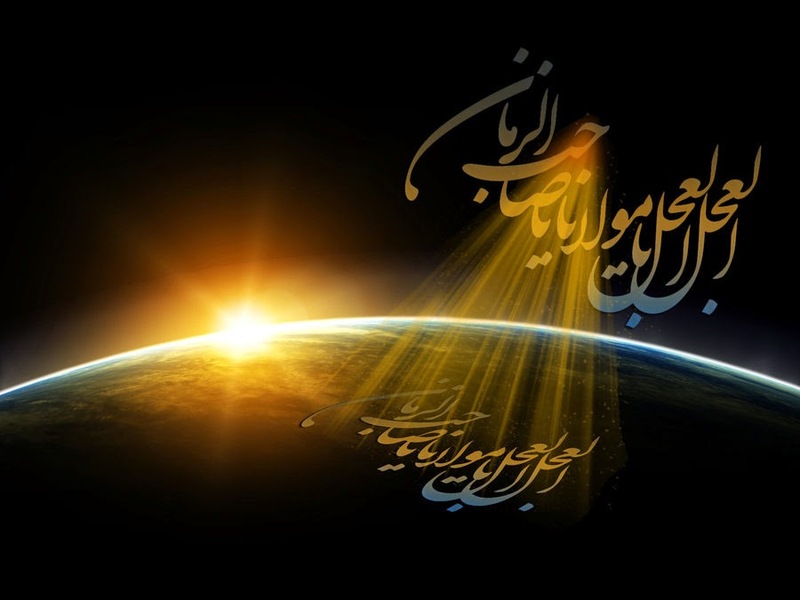 This article contains many details about the life and advent of the Mahdi (ajf), and all these facts are derived from various sayings on this topic. The Sunnah (the actions, sayings and confirmations of Prophet Muhammad (saw) is the second pillar of Islamic legislation and must be in complete agreement with the first source (i.e. the Holy Qur'aan) and not against it. The Sunnah applies to a prophetic way which includes references to the Prophet's (saw) sayings, actions, approvals, physical features and character traits etc. His actions pertain to anything he did, as authentically reported by the Companions or his holy progeny. The Holy Qur'aan and the Sunnah complement each other; Without the Sunnah, Islam is incomplete, likewise without the Holy Qur'aan, Islam is incomplete. In fact, the Sunnah is so important that without it one cannot fully understand the Holy Qur'aan and Islam, or be able to apply it to ones life. Both of these sources guide us to the right path. We know that the Holy Qur'aan does not specify how the prayer must be performed and so even after knowing the details, it may not be possible to follow the divine injunctions contained in the Holy Qur'aan alone. The decision about all the religious duties that Allah (swt) ordered in His Book can not be known without the Sunnah of the Messenger of Allah (saw). 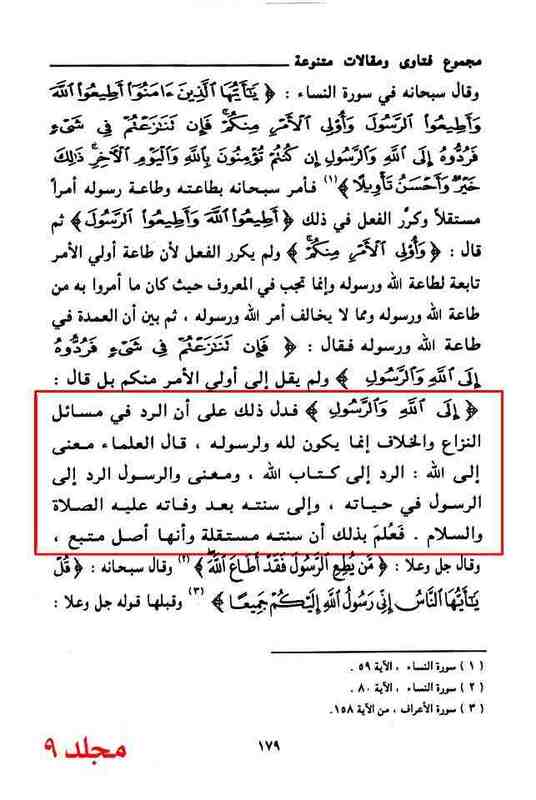 This is the opinion of the scholars of Muslims, and anyone who says something contrary to this, then it throws those individuals out of the fold of Islam and they become apostate. 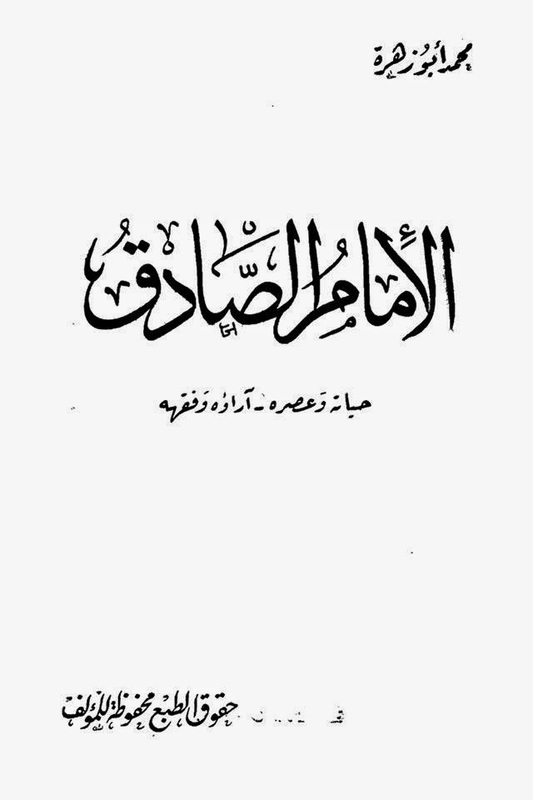 Source: Kitab Al-Shari'ah. Vol. 1, Pg. # 412. It is known by all scholars that the Sunnah is the second tenant among Islam's basis, and its importance in Islam is prime after the Book of Allah (swt), and it is the pillar relied upon after the Book of Allah (swt) with the consent of all scholars. 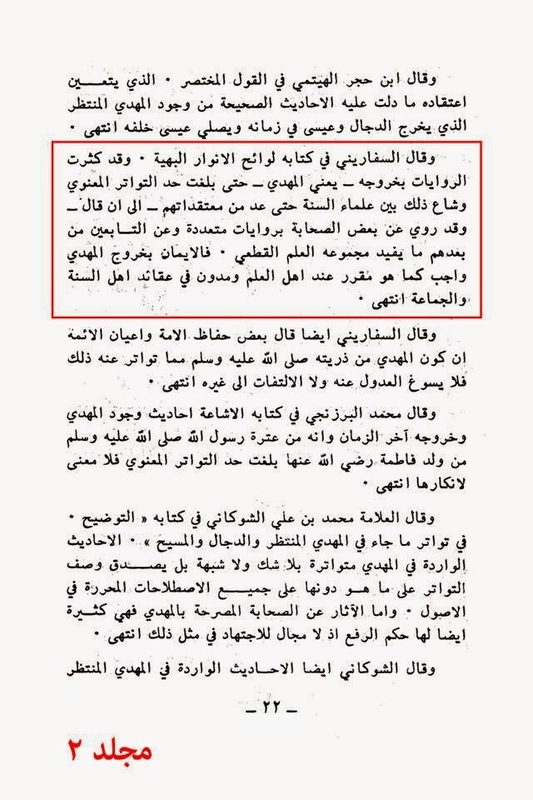 And it is an independent standing argument over the Ummah [the nation of Muslims], and the one who renounces it or denies it or claimed that it is acceptable to object against it and stick solely to the Holy Qur'aan alone then he is astray and commits bigger infidelity. 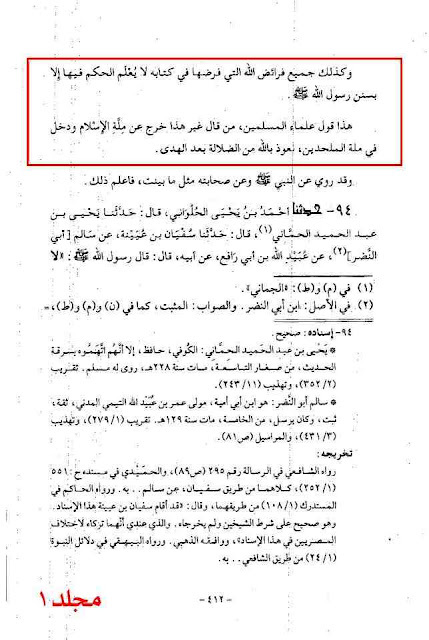 They are renounced from Islam by this speech and by such a statement and belief, he/she will be accusing Allah (swt) and His Messenger (saw) of lying and denying what Allah (swt) and His Messenger (saw) have recommended. And by abandoning a great source of knowledge that Allah (swt) has recommended to refer to and count on it and follow it. 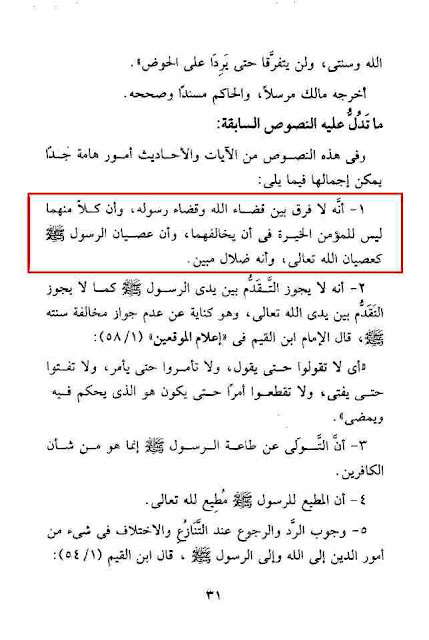 And he/she would be denying the consent of the scholars over it and renouncing to it i.e. 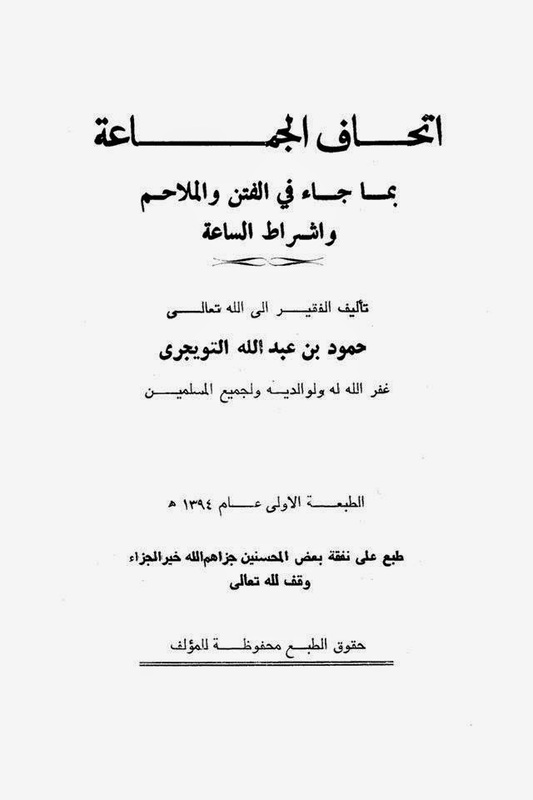 the Sunnah, and abandoning it shows that the reference to debates and disagreements about issues should be referred to Allah (swt) and His Messenger (saw), scholars have said; 'The meaning of referring to Allah (swt) is referring to the Book of Allah (swt), and the meaning of referring to the Messenger (saw) is referring to the Messenger (saw) during his life and to his Sunnah after his demise peace and prayers of Allah (swt) be upon him'. Therefore his Sunnah is independent and it is a followed base [for Islam and Islamic rules]. And He (swt) said at the end of Surah Al-Nur [verse 63]; 'So let those who dissent from the Prophet's order beware that a fitnah (stir) may strike them or a painful punishment.' 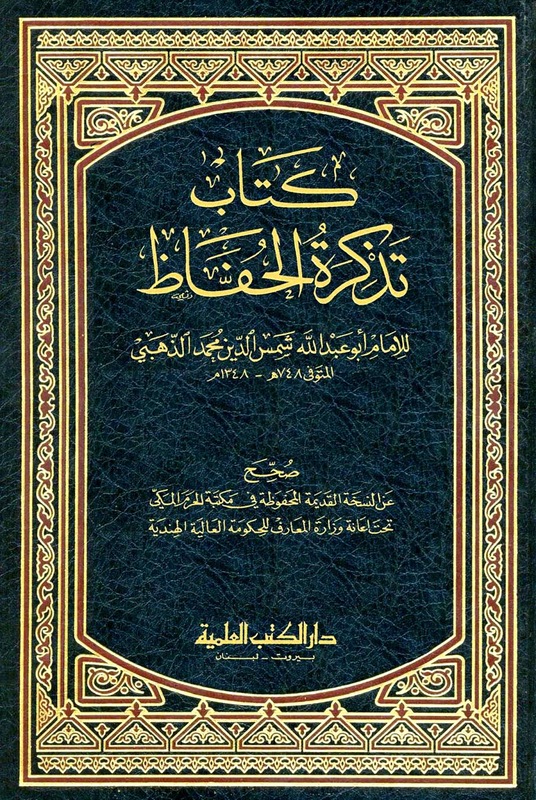 Therefore, the one who denies this is like the one who denies the Book of Allah (swt), and the one who says that he follows the Book of Allah (swt) without the Sunnah then he is lying and committing a mistake and disbelieving, because the Qur'aan ordered to follow the Messenger (saw), therefore the one who did not follow 'him' did not follow the Book of Allah (swt) and did not believe in the Book of Allah (swt) and did not apply the rules of the Book of Allah (swt) since the Book of Allah (swt) ordered to obey the Messenger (saw) and follow his orders and warned from disobeying him peace and prayers of Allah (swt) be upon him. 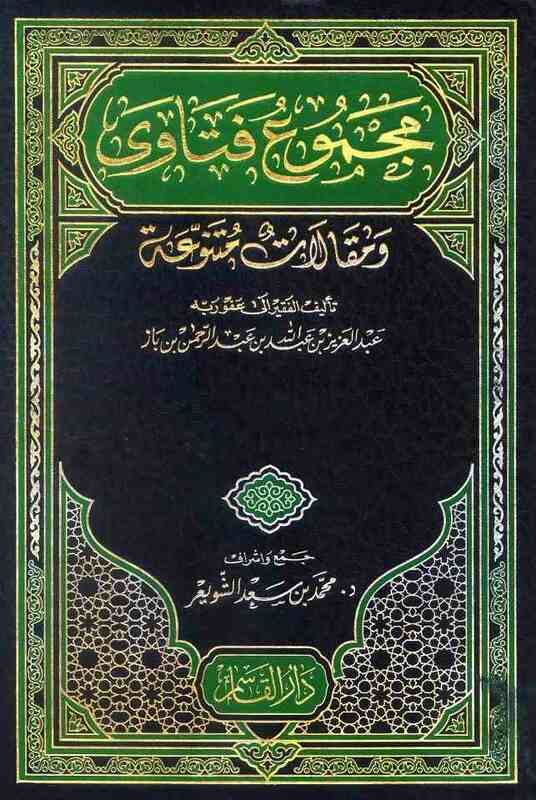 And the human being cannot be following the Holy Qur'aan without following the Sunnah therefore it was a must that his Sunnah clarifies the Book of Allah (swt) and explains the Book of Allah (swt) and pointing out what can be hidden in the Book of Allah (swt) and his Sunnah came with some regulations that the Book of Allah (swt) did not come with, It came with independent regulations that Allah (swt) the non-reachable and the Almighty legislated without being mentioned in the Book of Allah (swt) the most High who has no similar. 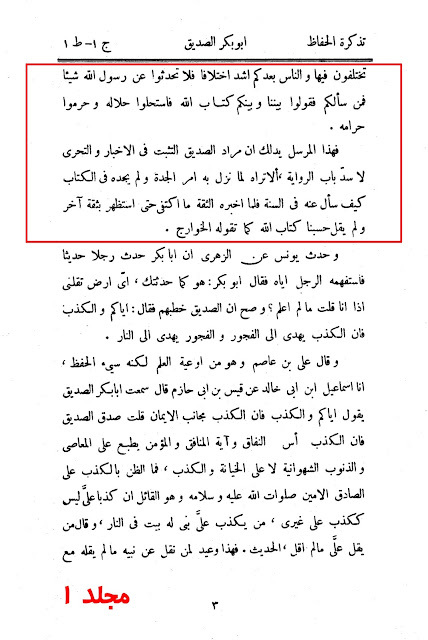 Source: Majmoo Fatawa wa Maqalat Mutanawwi'ah. Vol. 9, Pg. # 176, 179, 181 & 184. 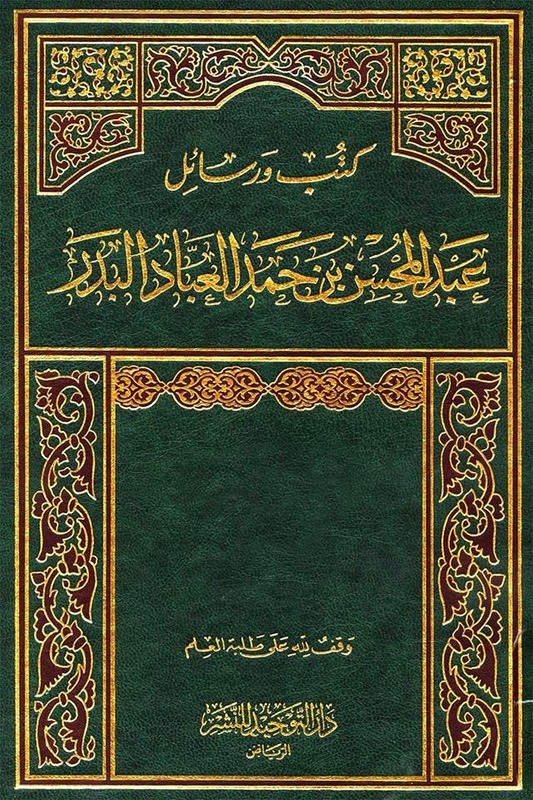 1 - There is no difference between the judgement of Allah (swt) and the judgement of His Messenger (saw), and the believer does not have the opportunity to disobey either one of them, and disobedience to the Messenger (saw) is similar to the disobedience of Allah (swt), the most High and is clearly astray. 11 - It is among the traits of hypocrites who show Islam and hide disbelief, that if they were called to refer to the Messenger (saw) and his Sunnah when they have disagreement, they would not answer this call and they even repel to it. 12 - Unlike the disbelievers, when the believers are called to refer to the Messenger peace and prayers of Allah (swt) be upon him then they would rush to answer this call as if they are saying "We heard the call and we obeyed" and by this they will be successful and they will gain the heavens of paradise. 17 - The Holy Qur'aan does not dispense us from using the Sunnah, and it is similar to it in terms of the obligation to obey and follow it. 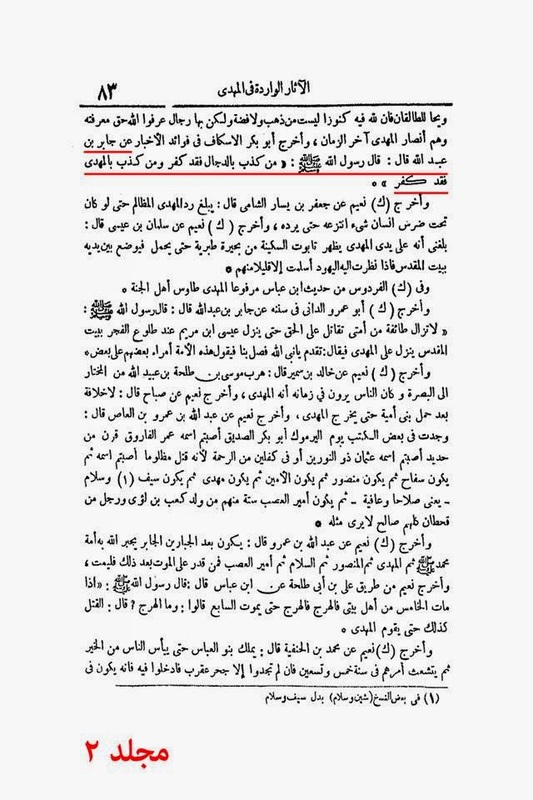 And the one who claims only Qur'aan causing Sunnah to be dispensable, is opposite to the Messenger peace and prayers be upon 'him' and not obedient to 'him' and he is converse to the previous verses. 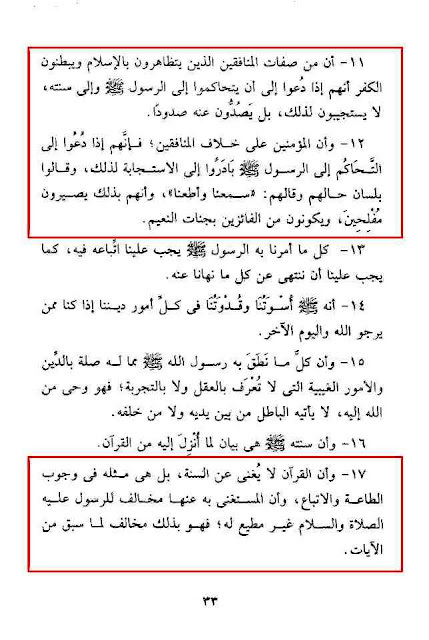 18 - Anything that the Messenger (saw) prohibits is similar to what Allah (swt) has prohibited, and it is the same for everything that the Messenger (saw) came with, and it is not found in the Qur'aan then it is as if it came in the Qur'aan because of 'his' saying; "I have been given the Qur'aan and its similar with it." 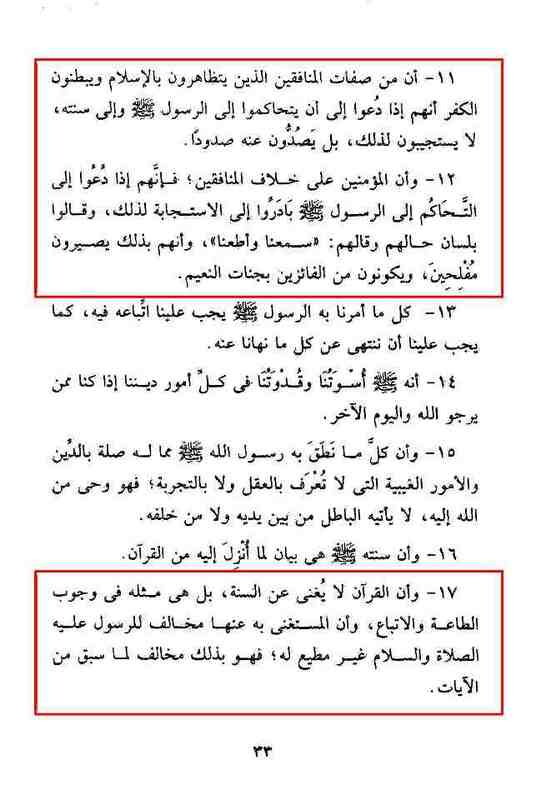 19 - The immaculacy from deviation and astray is by holding to both the book and the Sunnah and it is a persistent legislation till the day of Judgment, and it is not permissible to separate between the Book of Allah (swt) and the Sunnah of His Prophet (saw). 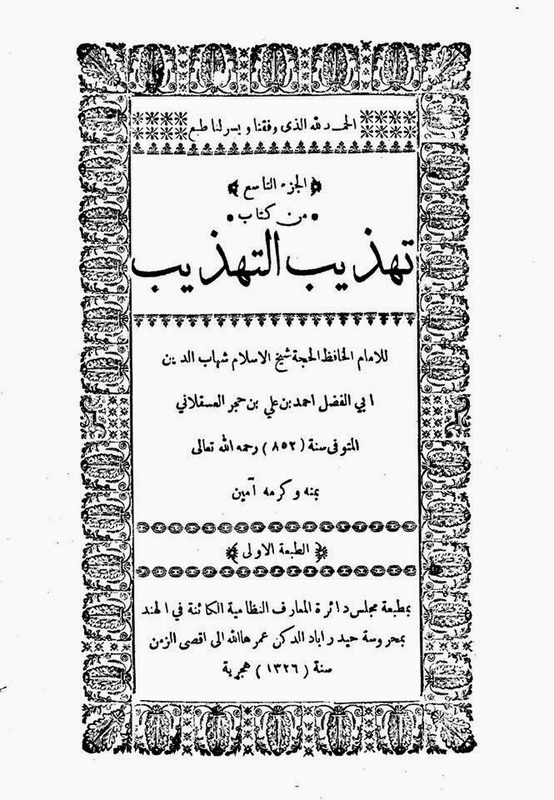 Source: Al-Hadeethu Hujjatun Bi-Nafsihi Fi'l-Ahkami Wa Al-Aqa'id. Pg. # 31 & 33 - 35. If anyone said, 'We do not accept but what we do not find in the Holy Qur'aan then he would be a disbeliever with the consent of all the nation [Ummah], and it would have been sufficient for him to make one Rak'ah (bowing) between the decline of the Sun and the real darkness of the night and another one at the dawn because this is the least that can be considered as a prayer, and there is no maximum for that, and the killer of such a person is a disbeliever and polytheist and his blood and money have no respect, and those who went for this opinion and the extremists among Rafidha [Shi'a] whom the Nation consented about their disbelief and by Allah (swt) the most High we ask Guidance. Source: Ahkam Fi Usool Al-Ahkam. Pg. # 80. One of the Marasil of ibn Abi Mulaika is that Aboo Bakr gathered people after the death of the Prophet (saw) and said: "You narrated narrations from the Prophet (saw) that create separations among people and people after you will face more problems and separations so do not narrate from the Prophet (saw) a thing, and if someone asks tell them: 'Between us and you is Allah's (swt)Book.' What you find in it to be permissible, you should regard it as permissible and what you find in it to be disallowed, you should regard it to be disallowed." 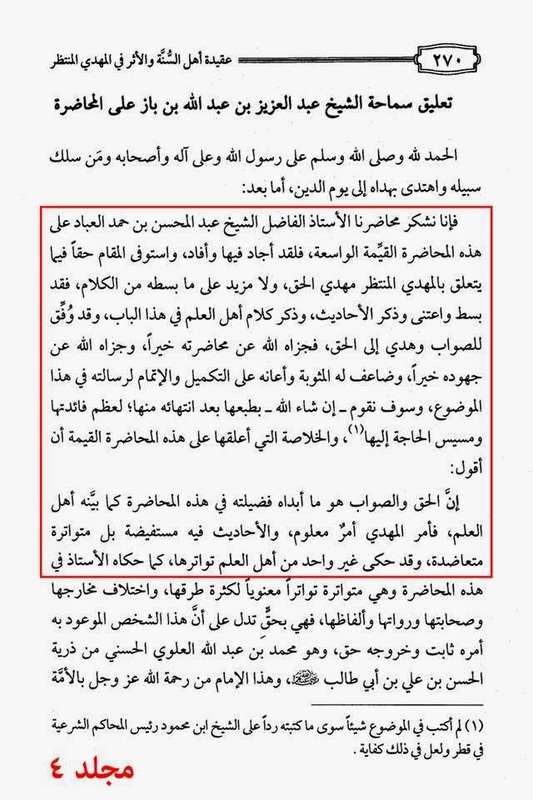 Al-Dhahabi: This Mursal shows what Aboo Bakr meant was to stabilise and validate the narrations, not to close the door of narrating Hadeeth. 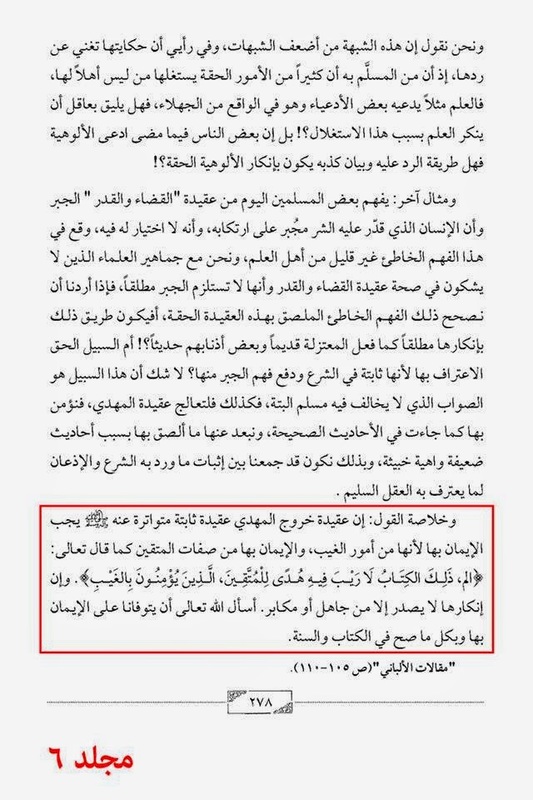 Don't you see when he did not know the judgement about the grandmother and he could not find it in the Holy Qur'aan, he asked about it from the Sunnah i.e. Prophetic Hadeeth. When trustworthy people informed him, he was not satisfied until he asked another trustworthy person about it and he did not say that, 'The Book of Allah (swt) is enough' like the Khawarij used to say. 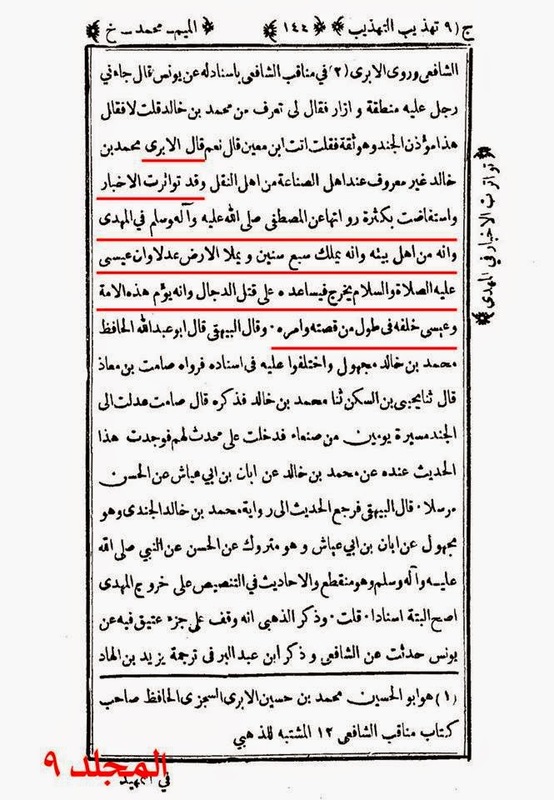 Source: Tadhkirat Ul-Huffaz. Vol. 1, # 2 - 3. 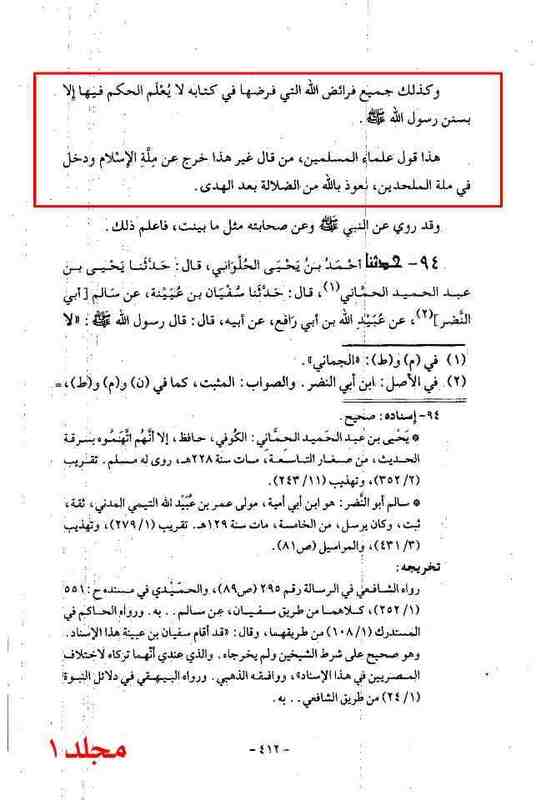 A strange polemic has evolved in our debates within the sects of Islam whereby we the followers of the Ahlulbayt (a.s), are asked to prove the concept of the Imamah (Divine Leadership) from the Holy Qur'aan. The reason this is so vacuous is because our opponents already have a mandatory edict to believe in the 'Mahdi' from their own Sunnah. Demanding we verify something they already have to testify to is interesting in how bizarre of a demand it is. Or perhaps once again, our opponents require us to educate them on what their own Sunnah and classical titans have codified on this subject. 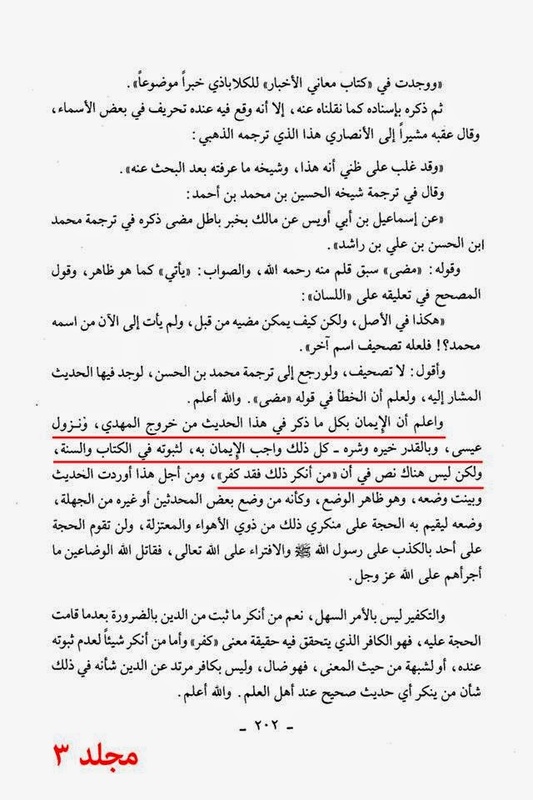 Al-Aburi says: The narrations are Mutawatir about Al-Mahdi (atfj) and they have been reported sufficiently through numerous narrators from the Mustafa (saw) and that he will be from his (saw) Household (a.s) and that he will rule for seven years and that he will fill the Earth with justice and that Isa (a.s) will appear and assist him in fighting against Dajjal and that he (atfj) will lead this Ummah in prayers and Isa (a.s) will pray behind him throughout his reign and leadership. Source: Tahdheeb Al-Tahdheeb. Vol. 9, Pg. # 144. Creed means the doctrine that an individual believes in and abides by. 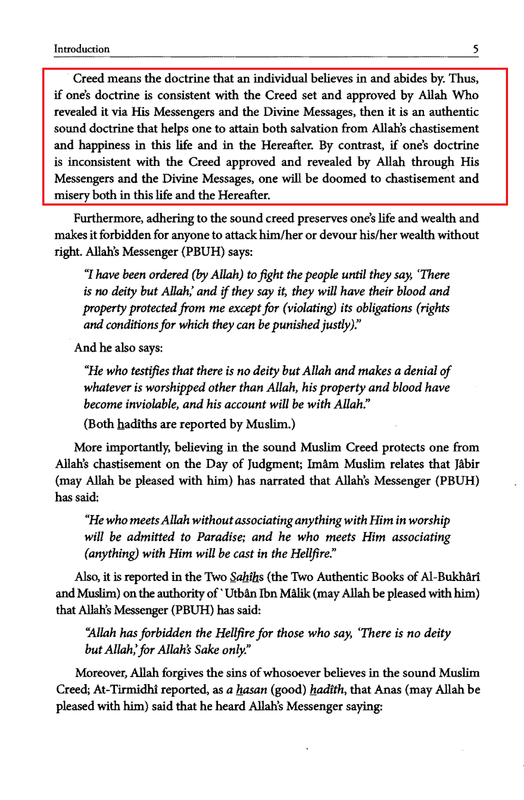 Thus, if one's doctrine is consistent with the Creed set and approved by Allah (swt) Who revealed it via His Messengers and the Divine Messages, then it is an authentic sound doctrine that helps one to attain both salvation from Allah's (swt) chastisement and happiness in this life and in the Hereafter. By contrast, if one's doctrine is inconsistent with the Creed approved and revealed by Allah (swt) through His Messengers and the Divine Messages, one will be doomed to chastisement and misery both in this life and the Hereafter. Source: Guide To Sound Creed. A Book on Muslim Creed and Faith. Pg. # 5. 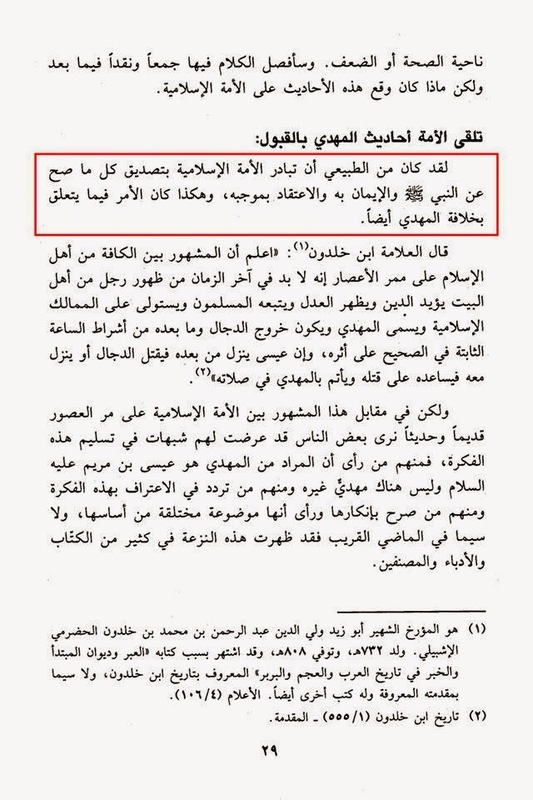 The prominent scholar, As-Safhini has said, "Reports traced back to the Prophet (saw) and the Companions are numerous, all affirm the emergence of Al-Mahdi (ajf)." 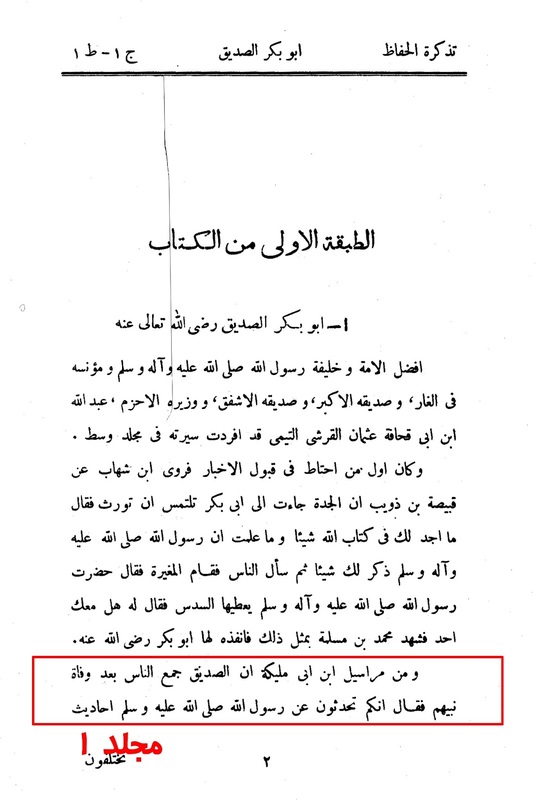 The name of Al-Mahdi is Muhammad ibn Abdullah (ajf). He is one of the descendants of Al-Hassan ibn Alee ibn Abi Talib (may Allah (swt) be pleased with them). He will emerge at the end of this life when the earth is dominated by oppression and injustice. Upon his emergence, justice and equity will prevail. 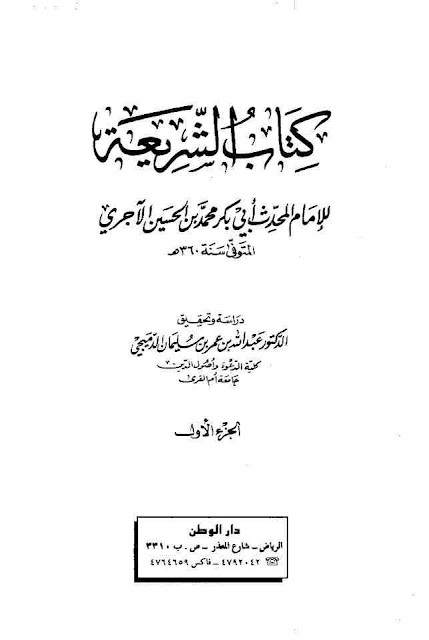 The prominent scholar, As-Safhini, has said: "Views are in disagreement about the emergence of Al-Mahdi (ajf) to the extent that some people maintain that Jesus (a.s) is the Expected Al-Mahdi (ajf). 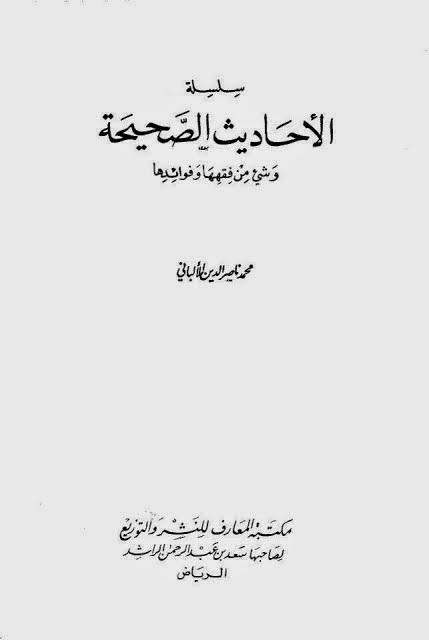 The proper view upon which the people of truth agree is that the emergence of Al-Mahdi (ajf) is different from the return of Jesus (a.s). The former will emerge before the latter. Reports substantiating this view are so numerous that Al-Mahdi's (ajf) emergence may be regarded as undoubtedly established. 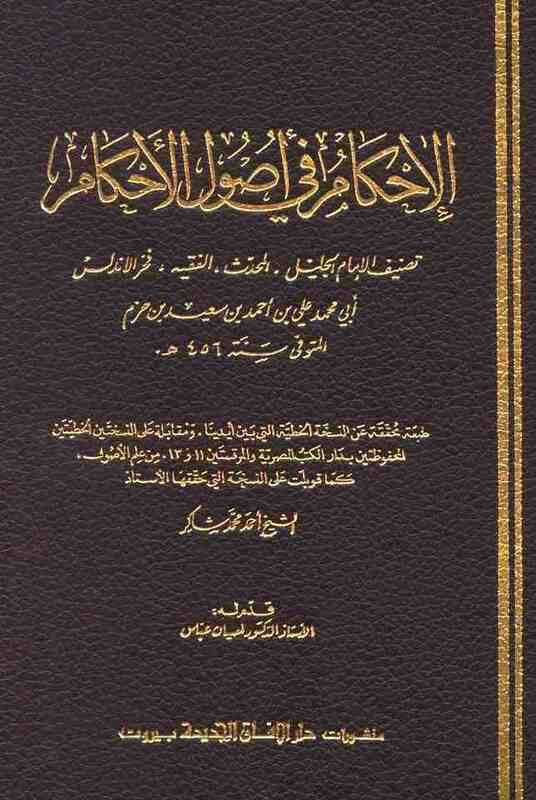 It is recognized by the scholars of the Sunnah and is certainly included among their established convictions." 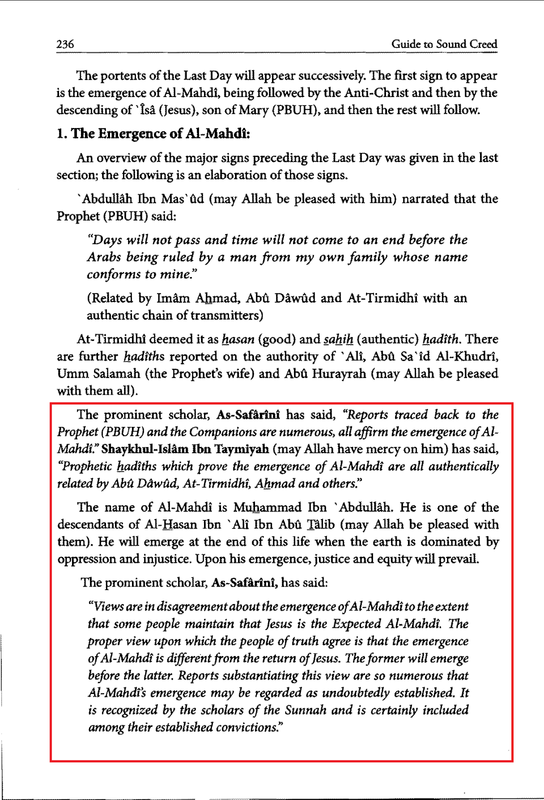 The first group renounces the emergence of Al-Mahdi (ajf). They are some of the modern writers who lack expertise, deeply rooted knowledge of religious texts and transmitted reports of prominent Muslim scholars. They only rely on their rational deductions and ideas. 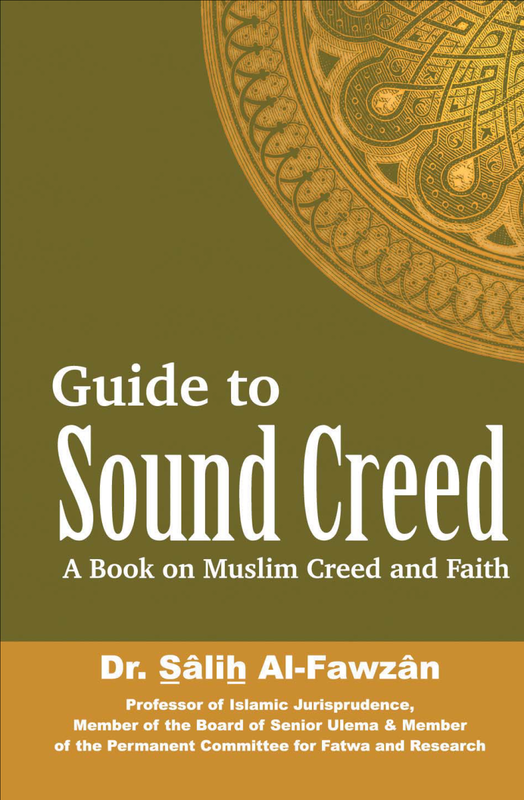 Source: Guide To Sound Creed, A Book on Muslim Creed and Faith. Pg. # 236 - 237. 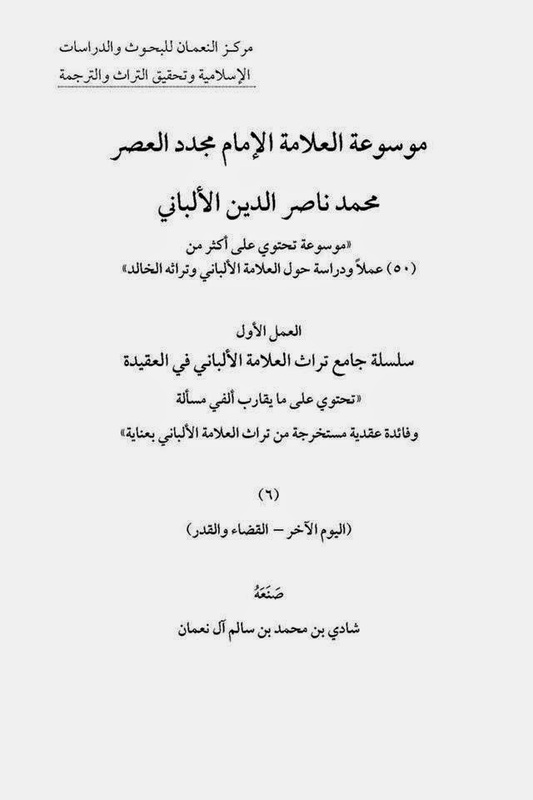 Sheikh ibn Baz commented on this saying; "We thank our lecturer, the virtuous teacher Al-Sheikh Abdul-Moshin ibn Hamad Al-Abad for this valuable expanded lecture that he mastered and made benefit and fulfilled the needed subject about the Awaited Mahdi (ajf), the Mahdi of right, and there is nothing to add to what he recited that he exposed and took care [of the info sources] and mentioned the narrations and the sayings of the folk of knowledge about this topic, and He was accorded pertinence and guided to the right and may Allah (swt) reward him the good rewards for his lecture and may Allah (swt) reward him for his efforts the good rewards and [may Allah (swt)] multiply his recompense and help him to complete and fulfill his message about this topic, and we will - if Allah (swt) wills - publish it once he is done with it for its big benefit and the heavy need for it and the conclusion that I make about this valuable lecture is to say; the right and pertinence are what his excellence exposed in this lecture, the same as what the folk of knowledge exposed, that the issue of Al-Mahdi (ajf) is known and narrations about it are extensive, recurrent and mutually consolidated [assisted]. Source: Qutb Wa Rasa'il. Vol. 4, Pg. # 270. And it has always been the standard that the Islamic nation would hasten to acknowledge all things that are authentically transmitted from the Prophet (saw) and to believe in it, and to believe in it's obligation. 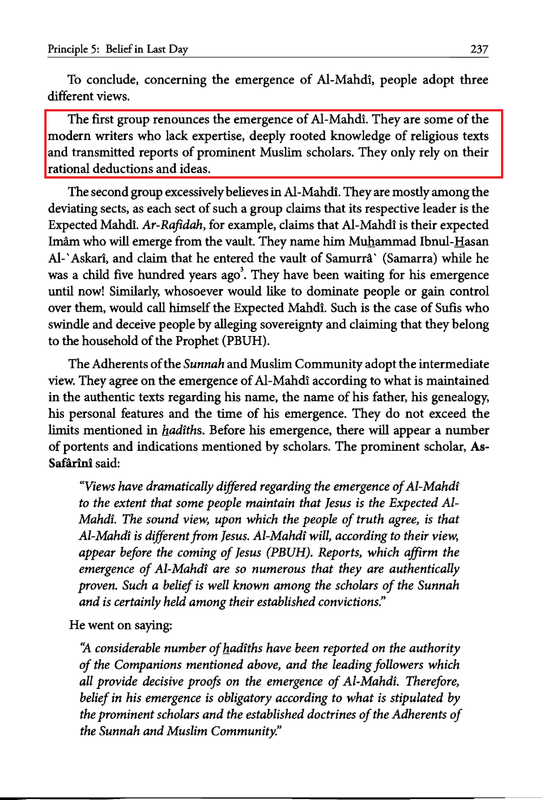 And the same has been the case with what is related to the leadership of the Mahdi (ajf). 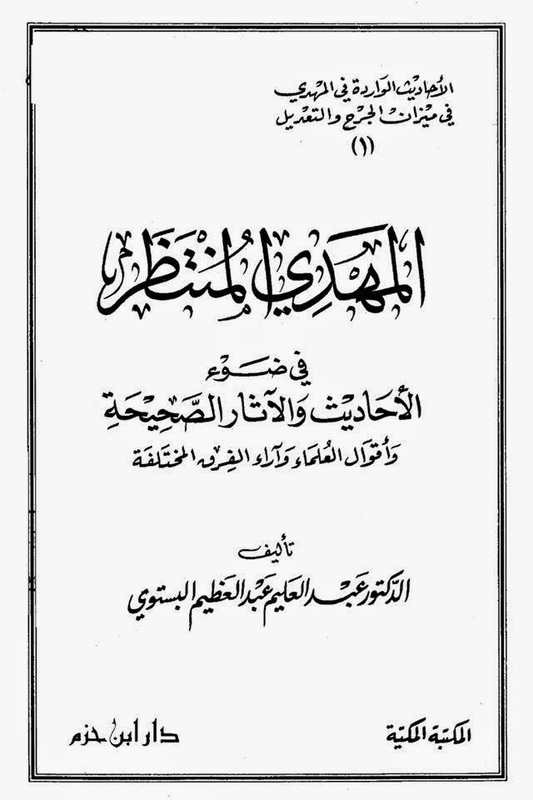 Source: Al-Mahdi Al-Muntadhar. Pg. # 29. 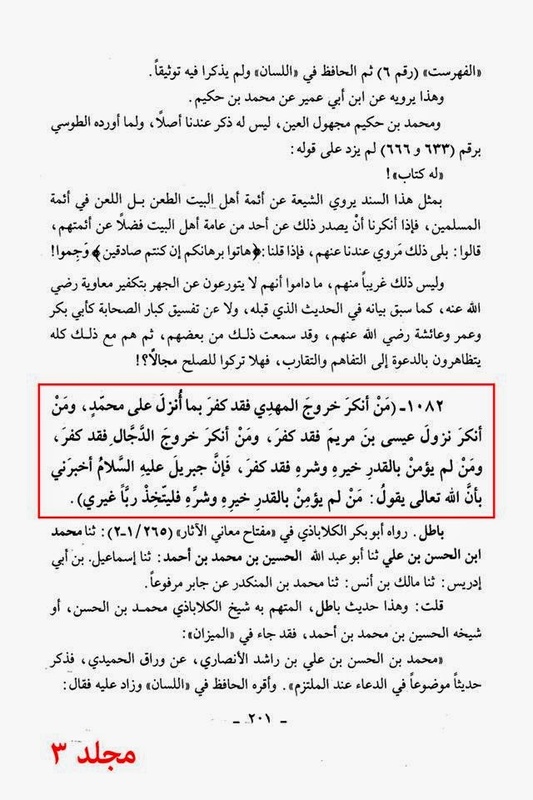 Some Sunnis - People of Ahl ul Sunnah - have spoken about the appearance of the Mahdi (ajf) at the end of the time, and some of them believed in this belief and they have proved it from some books of doctrines, also it is mentioned in some of the Sunni books, like Sunan Abi Dawood, Al-Tirmidhi, An-Nasa'i and Ibn Majah, but there's no mentioning of the Mahdi (ajf) in the two Saheeh books (Bukhari and Muslim). 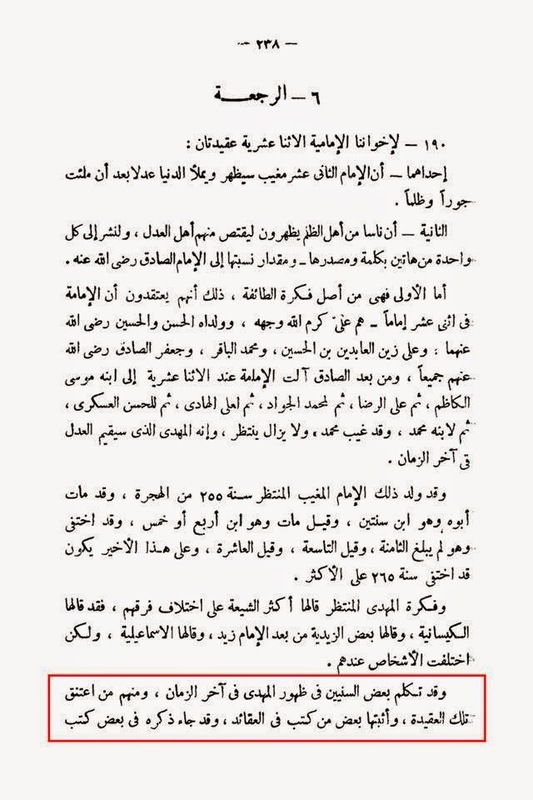 Source: Imam Al-Sadiq (a.s), his life and age, his opinions and Fiqh. Pg. # 238 - 239. 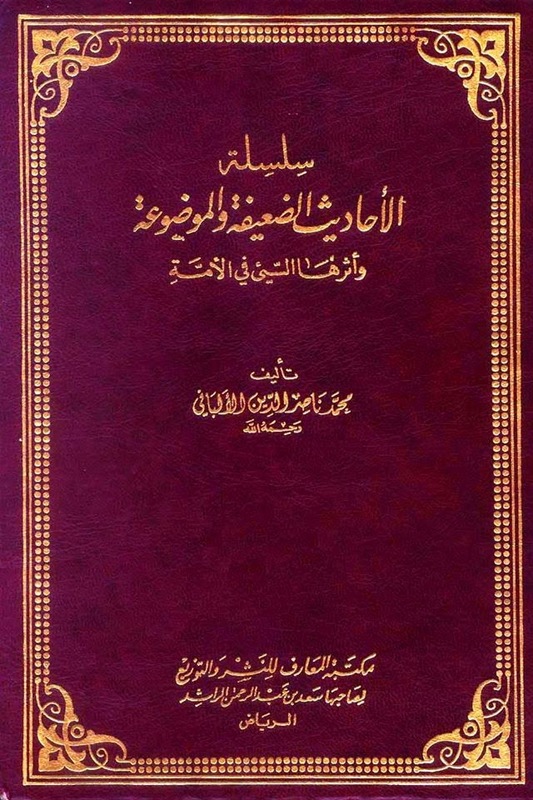 Al-Sifareeni said in his book 'Lawa'ih ul-Anwar Al-Baheeya': "The amount of narrations about the appearance of the Mahdi (ajf) are plenty, until it reached the limit of Al-Tawatur Al-Ma'nawi. 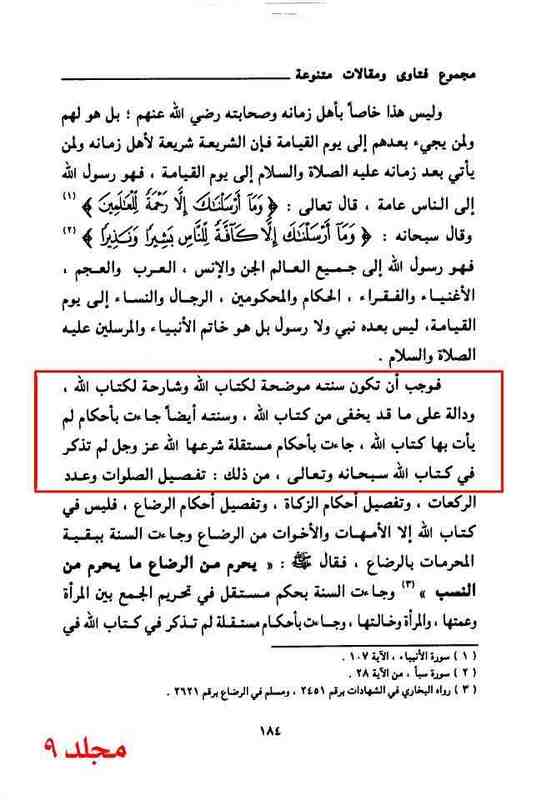 And that spread widely among the scholars of the Sunnah until it became part of their creed." He also said: "And many narrations have been narrated from some companions and tabi'een, which in total is enough to make it an absolute fact. 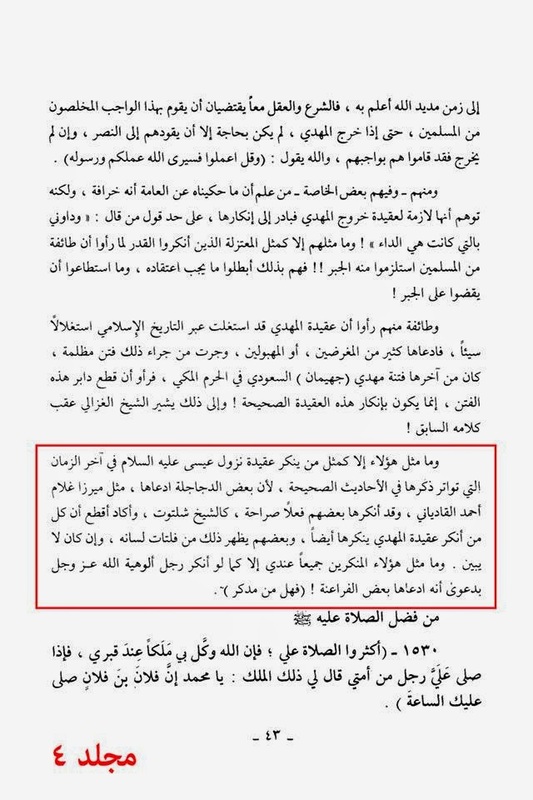 So the belief in the appearance of the Mahdi (ajf) is obligatory, just like it has been determined by the scholars of knowledge, and has been inscribed in the creed of the Ahl ul Sunnah Wa Al-Jama'ah." 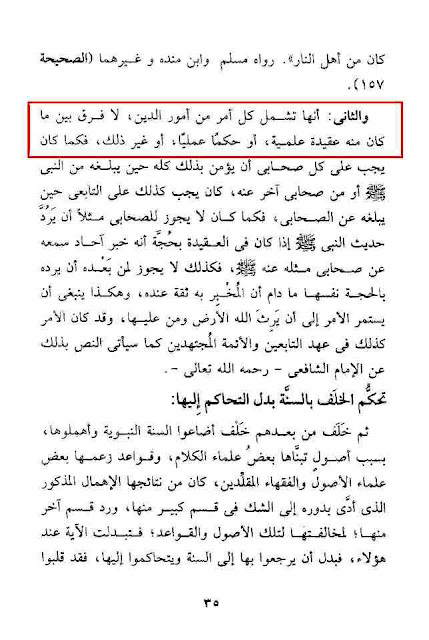 Source: It'haf ul-Jama'ah. Vol. 2, Pg. # 22. 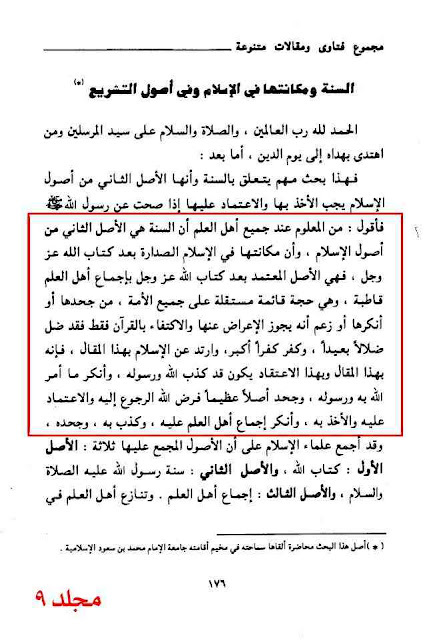 And the conclusion of our speech; the doctrine of the appearance of Al-Mahdi (ajf) is a certain and frequent (mutawatir) doctrine from to the Prophet (saw). We must have faith in it since it is an issue of the UNSEEN (non tangible), and to have faith in it is one of the characteristics of Al-Muttaqin [those who abstain from all kinds of sins and evil deeds out of fear of Allah (swt)] as He, the most High, said; (Alif.Lam.Mim). This is the Scripture whereof there is no doubt, a guidance unto those who ward off (evil),Who believe in the Unseen...)[2:1]. And denying this fact can not come but from an ignorant or a wrangler. 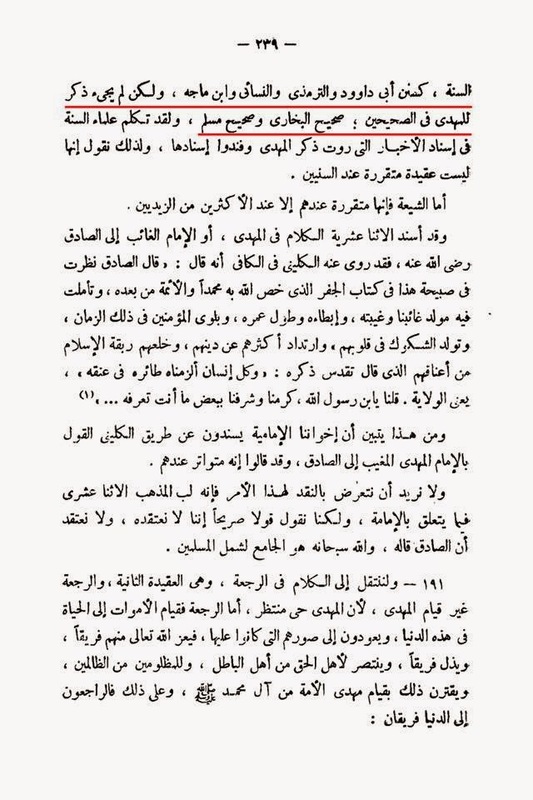 I ask Allah (swt) to take our souls back with our belief in it and all what was identified right in the Book and Sunnah [the religious heritage of the Prophet (saw)]. 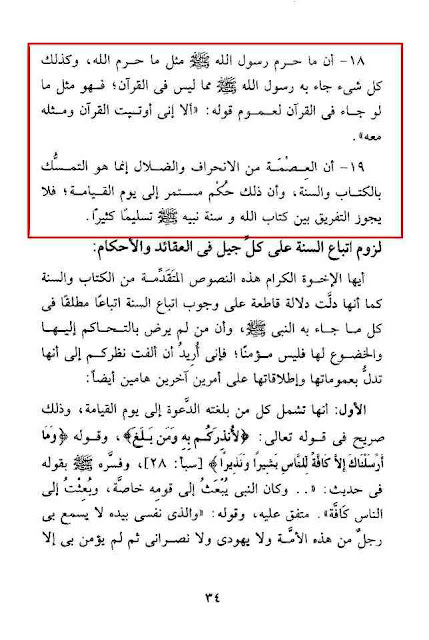 Source: Mawsoo'at Al-Allamat Al-Albani. Vol. 6, Pg. # 278. Jabir ibn Abdullah narrates that the Messenger of Allah (saw) said: "Whoever denies (the coming of) Dajjal, has surely committed disbelief, and whoever denies (the coming of) Mahdi (ajf) (also) committed disbelief. Source: Al-Hawi lil-Fatwa. Vol. 2, Pg. # 83. 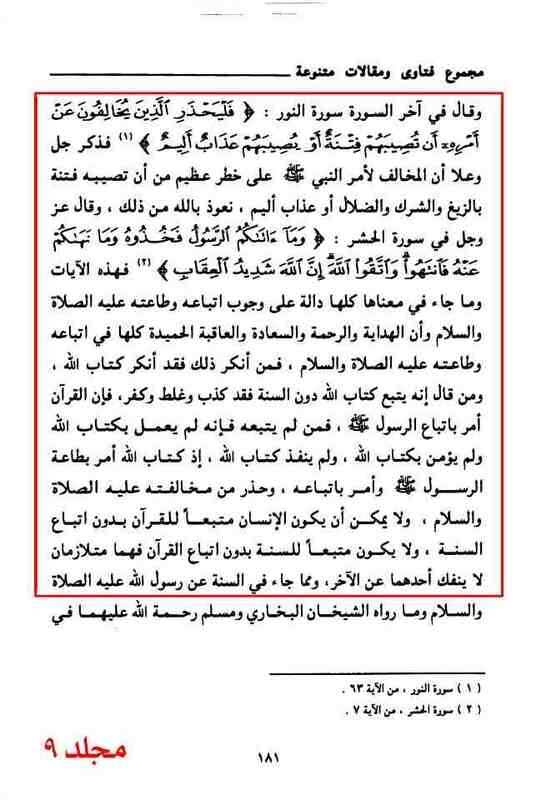 The Holy Prophet (saw) stated: "Whoever denies the appearance of the Mahdi (ajf) has disbelieved in what has been revealed on Muhammad (saw). And whoever denies the descent of Isa (a.s), the son of Maryam (a.s), has disbelieved. And whoever denies the appearance of the Dajjal, has disbelieved. And whoever does not believe in destiny, both it's goodness and evil, has disbelieved. Because Jibra'eel (a.s) has told me that Allah (swt) says: 'Whoever does not believe in destiny, both it's goodness and evil, shall have to take another Lord than Me.'" 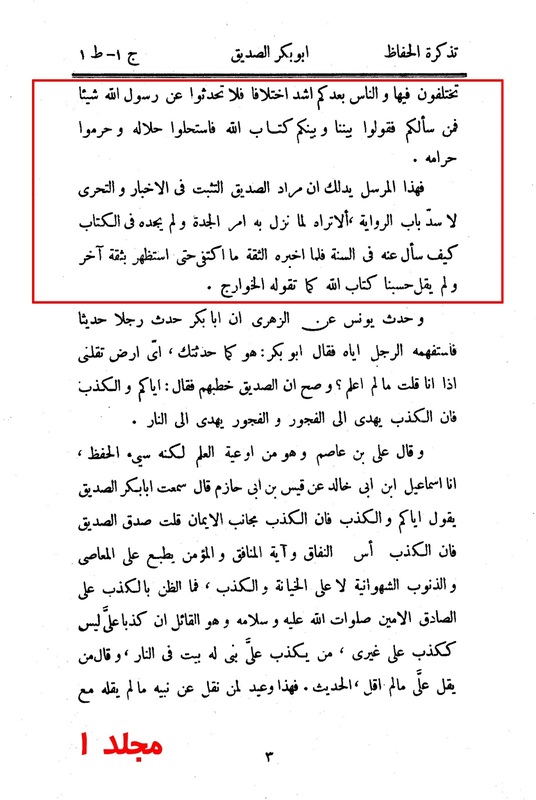 Al-Albani: "The narration is false but know that it is obligatory to believe in all what has been mentioned in this narration; the appearance of the Mahdi (ajf), the descent of Isa (a.s), and in destiny, both it's goodness and evil. It's obligatory to believe in all of that, because of it's evidence in the Holy Qur'aan and the Sunnah. However, there is no report that you will be a disbeliever if you deny such." Source: Silsilat ul-Ahadith Al-Da'eefa. Vol. 3, Pg. # 201 - 202, H. # 1082. 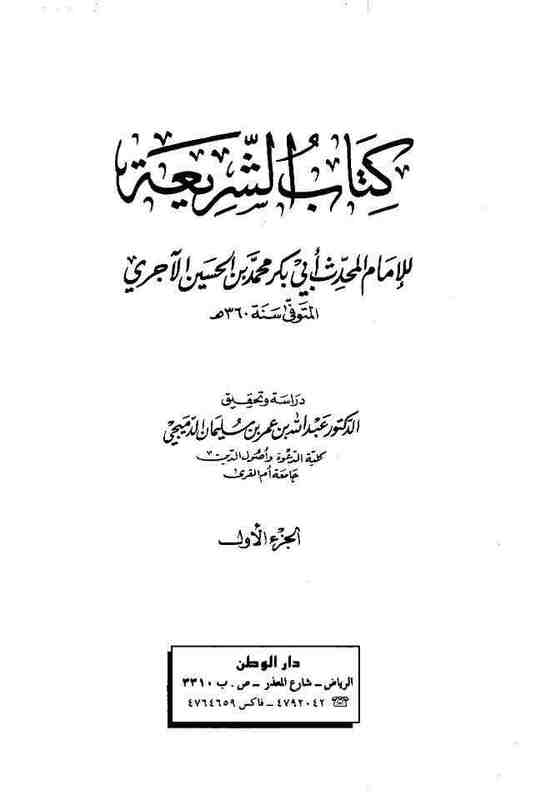 Those who deny the appearance of the Al-Mahdi (ajf) are just like the ones who deny the descent of Isa (a.s) in the end of the time, which has been narrated authentically in the authentic narrations, because some Dajjals have claimed it, like Mirza Ghulam Ahmed Al-Qadiani, and some have plainly denied it, like Ash-Shabag Shaltout, and I can assure that everyone who denies the appearance of the Al-Mahdi (ajf) denies the descent of Isa (a.s), and of some them it appears on their lapsus linguae, even if it's not clear. 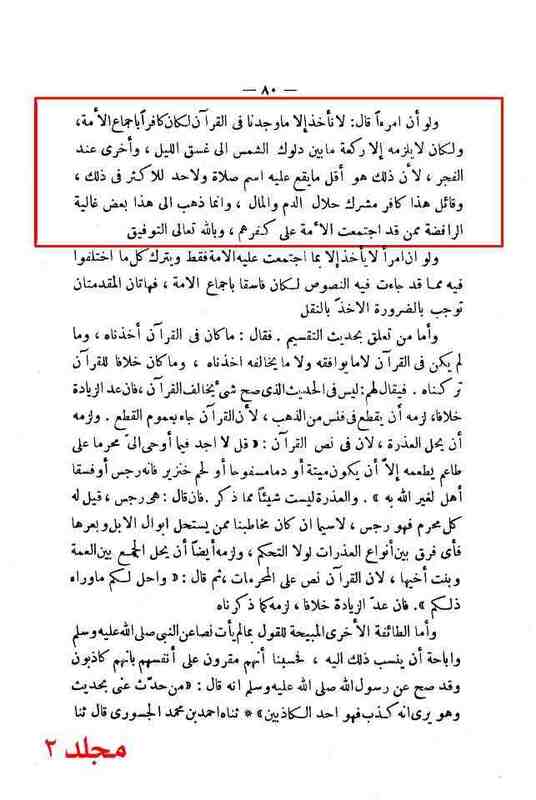 For me, all of those who deny the appearance of the Mahdi (ajf) are like a man who denies the divinity of God just because some Pharaohs have claimed it for themselves! (so is there anyone that will remember). 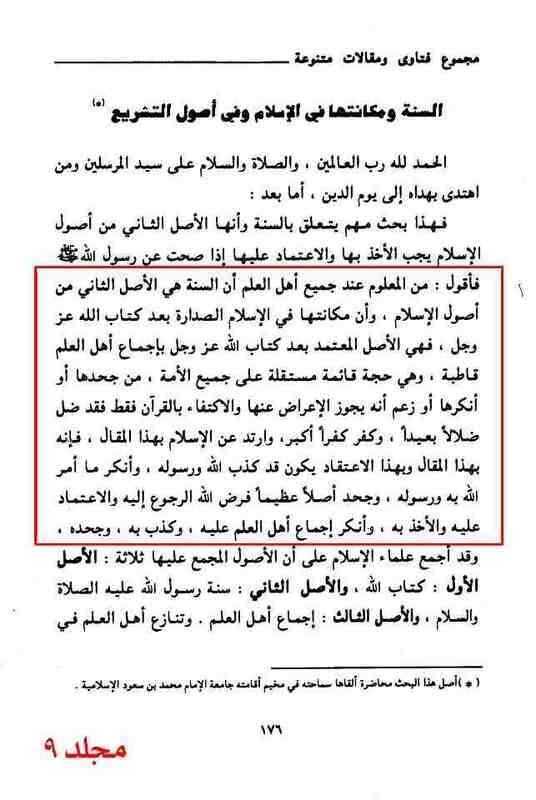 Source: Al-Silsila Al-Saheeha Al-Hadeeth. Vol. 4, Pg. # 43.